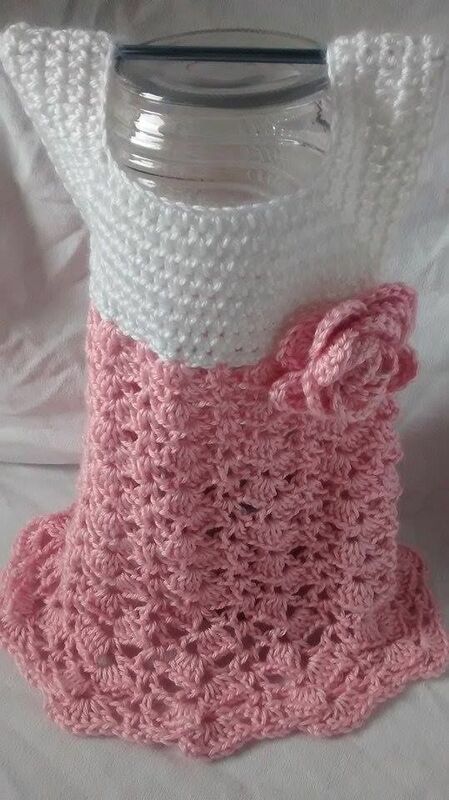 Pretty, lovely, BEAUTIFUL handmade crochet dress. Perfect for parties or special occasions. Made with soft yarn. I use standard child measurements. The material has a pretty drape and lightweight feel with open shell stitches that make up the skirt, and a solid bodice with pretty shell stitch short sleeves. This pretty, silky dress layers nicely over tights for precious baby photos and makes a nice infant frock for any occasion. Easily washable in cold water, lay flat or machine dry gentle (no iron). Like all the other items on my shop it’s handmade with Love & Care. Your satisfaction is my priority! Please be sure to look around my shop for other great gift ideas!